ing that while I was browning the meat I was able to prep the other parts and have everything together around the same time. I would make some modifications to the recipe which I will indicate below - cheers! 1. In a large dutch oven, heat the EVOO over medium-high heat. 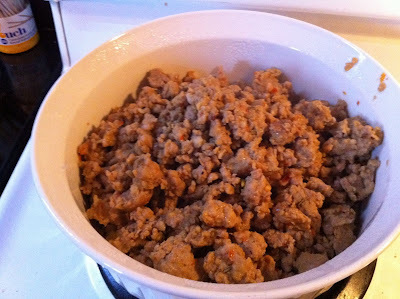 Add the sausage and cook until browned; transfer to a bowl with a slotted spoon. 2. Add the onion and carrot to the pot and cook until slightly softened, 3 to 4 minutes. Stir in the garlic and rosemary and cook until fragrant, about 1 minute. 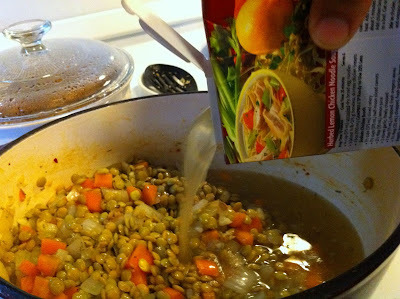 Add the lentils, broth and 3 cups water. 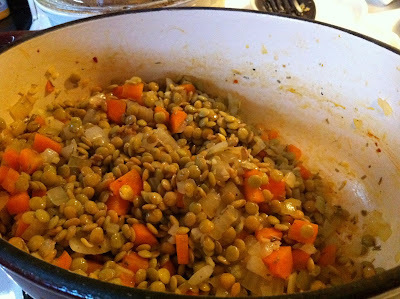 Bring to a boil, lower the heat and simmer until the lentils are tender, 25 to 30 minutes. 3. Stir in the escarole and sausage, cover the pot and cook until the escarole is wilted and the sausage is heated through, 3 to 4 minutes. Season with salt and pepper. 1) I had no idea what Escarole was so I checked Wikipedia and found what it looked like and found that it also belonged to the endive family. I wasn't sure I was going go like the taste of it or now. I would say that I am a fan and would likely use it again in this recipe. 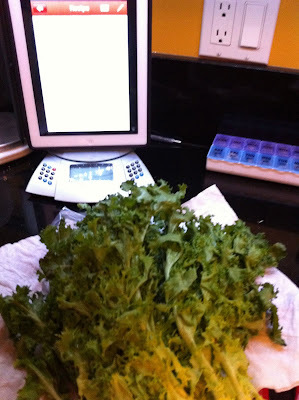 However, I had some difficulty finding it at the store and would think that kale would be a good substitute in this case. 2) I could not find brown lentils at all so I got green lentils instead. I don't think that it made that big of difference. However, I have a sprouted bean trio made by Tru Roots and I would think that I would this instead next time because I have it and because that it has more colours to add to the mix. 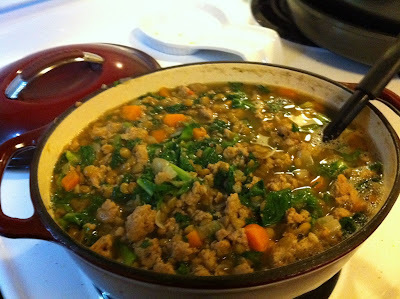 3) I also found that it was rather soupy rather than stew like and I am not sure if that is because of the lentils I used or just the general recipe. Next time I would leave out the extra water called for and either just use the broth and 1 cup of water and experiment with how much is needed to keep it moist but more stew like.